Fungal sinus infection causes are the fungi in the environment. When there are fungi spores in the atmosphere, you may be at risk. If you are aware of the possibility of fungi in the environment, you should wear a face mask. Generally, there are four kinds of fungal infections which may be hard for an average person to distinguish. Your physician will determine which type you have in order to decide on the best course of treatment. There are several sinus infections signs and symptoms. Several of these are thick yellow and green runny nose, stuffy nose, sore throat, bad breath, fatigue, ear pressure and toothache. You may also experience some pain around the eyes and cheeks. 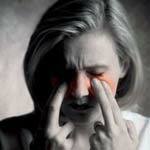 Although fungal sinus infection mimics the symptoms of bacterial sinus infection, it is much more serious. If left untreated it can be fatal. Fungal sinus infection also may cause deterioration of the bone. It is imperative that this sinus infection is diagnosed and treated quickly. You may ask, is my sinus infection contagious? The answer to this is no. While you may catch a cold from someone else that may lead to a sinus infection, the infection itself is not contagious. When you are being treated for a fungal sinus infection, you will most likely need to have surgery. The surgery will clear the mucus from your sinuses. Your doctor may also put you on anti –fungal medications or steroids as well as immunotherapy medications. Some of these treatments will depend on exactly what type of fungal infection you have.